We provide all lock related services within the region of Vancouver, and ensure that our team stands out above the rest. There’s nothing more frustrating than a lockout, whether it’s from your car, home, or business. We offer a 24 hour emergency locksmith service all over Vancouver and will have you sorted as quickly as possible. Whenever you encounter an emergency situation and want to get in touch with a locksmith as quickly as possible, you can contact 24 hour Locksmith Vancouver. We assure all of our customers of the fastest and most reasonably priced services in this hour of emergency. Forgetting your key inside your house or car is a situation that even the most careful individuals within us have encountered. Keeping in mind the regular occurrence of the issue, there is no need to panic next time when you face the hassle. We provide services throughout the week 24/7 and pride ourselves on the fact that the amount we charge is noticeably lower than that charged by the others. Not being able to open your house, or getting locked inside a car is not the best situation to be in, so by recognizing the ordeal you are going through, 24 hour locksmith Vancouver plans to make the solution as quick and as cheap as possible. When you’ve moved house, experienced a break-in, had your keys stolen, or you’re between tenants on a rental, changing locks or rekeying doors is an essential step towards better security. Our mobile lock service is available to come to your home and change home locks, repair doors, install or fix deadbolts, and anything else you need to improve your home’s security. Rekey your home: Rekeying your home is an important procedure to carry out once you’re moving into a new home. The process of rekeying is simple and makes sure that the keys that were used to access the house before are no longer usable. Rekeying is an extremely sensible option to implement whenever you are moving into a new house. At locksmith Vancouver, we specialize in providing exemplary rekeying services that are bound to be reliable and long lasting. Thus, when you feel the need for locksmith rekey services in Vancouver, you can come to us at Locksmith and Keys. Repairing your lock: We tend to provide you with a solution which is not only safe and long lasting, but is also perfect for your pockets. There have been countless occurrences where customers have deemed a lock useless, before our technicians have proven them wrong and repaired it to its former glory. Lock repairing is about saving as much money as you can, without compromising on your safety. 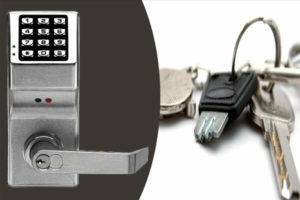 We provide brilliant solutions that repair each and every lock present, without making you empty your pockets. Upgrade the security of your home: With the increase in emphasis on security within the home, due to obvious reasons, the need to upgrade is felt by a lot of customers. You can get in touch with us at 24 hour locksmith Vancouver to upgrade the security within your home and make it compatible with the needs of the day. Locked your keys in your vehicle? No problem, we can have you on your way in no time. We are experts in business and shop security. Our Lock installers will work with you to ensure that your business has secure locking systems which work for you. Commercial services include a no-strings inspection and consultation, deadbolt repair or installation, door locking solutions, file cabinet and safe rekeying and more. Every business is different and we’ll work with you to get it right. If all you need is a locksmith that makes keys to get a spare set cut for a family member or roommate, you can pop in store and have them made while you wait.